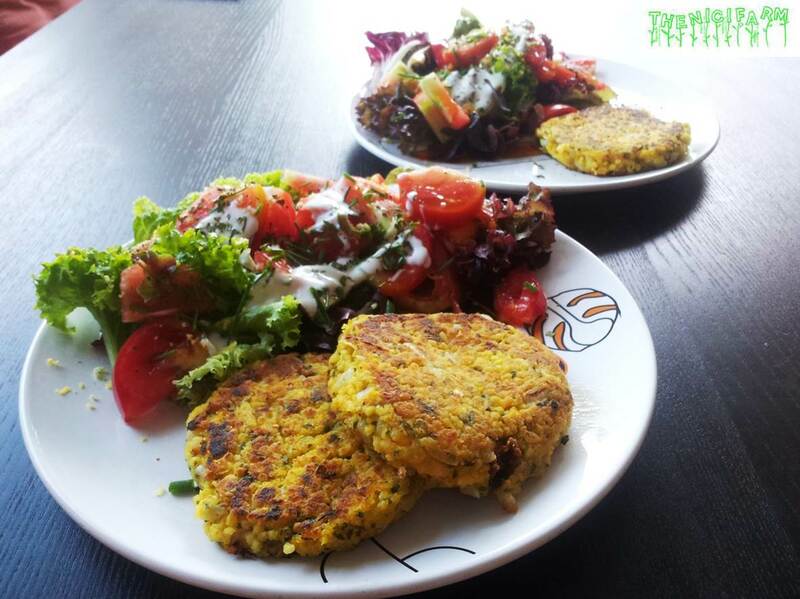 Trust me, this vegan savory cakes are so delicious even non-vegans love them!! The recipe was inspired by the wonderful people at Sonnenfrosch Reformhaus in Graz, Austria. Shortly wash millet with hot water. Bring water and chicken stock to a boil, add millet, cover and let simmer for about 15 minutes or until all water is gone and the millet is tender. Add rest of the ingredients except flour and mix well. Give flour into a deep dish, form 4 balls from the millet mixture and one by one press them flat. Form nice pads from them. In a frying pan heat olive oil and fry millet cakes until they are golden brown. About 5 minutes per side.